They are physically larger than the standard sized nozzles which makes fitting/changing, handling and cleaning much easier. 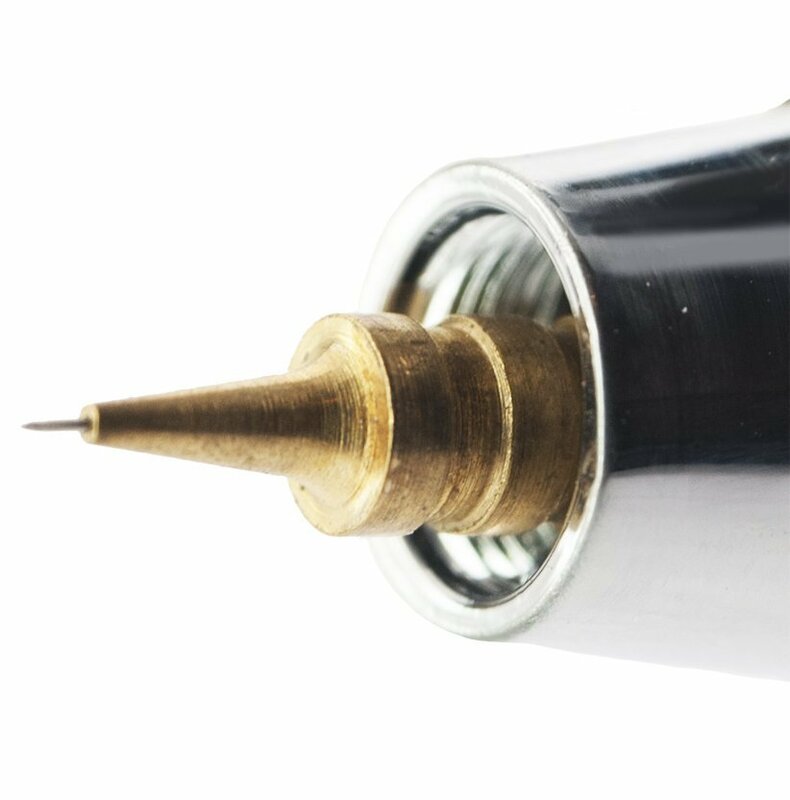 There is now no need to try and screw a minute and fiddly nozzle into your airbrush as this new design is push fit and then held firmly in place by the nozzle cap (new larger design) when it is screwed onto the airbrush. The new nozzle design will not fit an airbrush which takes a standard design nozzle (small design and has to be screwed into your airbrush) and nozzle cap.